Computer month. Special issue: is it possible to build a gaming system unit for 30 000 or less? Readers who do not know about our regular column “Computer of the month”, reported that each month the article discusses current options of system units, which the user can collect yourself. In the material each month presents several configurations, the cheapest are classified as “Starter Assembly”. So, in the last October issue, we have considered a system that uses Ryzen 3 1200, 8 GB of RAM and a GeForce GTX 1050 Ti — along with all accessories such variant in the Moscow shop “regard” will cost a potential buyer in 38 000. I must admit that the readers ‘ questions, given as examples, it is justified. And no, we’re not snickering. In the “Computer of the month” I always justify the choice of those or other components and cite specific examples, reasons, and evidence. At the same time, it is impossible not to agree with the readers: not everyone can afford to buy the system unit at this price. But does it make sense to take to a computer store, cheaper Assembly, claiming the title game? Or with this budget the road just to the flea market? Now we will check it. Before you get acquainted with the binary options that I selected for testing, let’s, so to speak, will close on one important topic. In the “Computer of the month” are always the parts recommended that you can buy new, with warranty and in the shop. In category is not considered in the Used market-iron. In this edition, I similarly consider assemblies that you can buy in the store — with all the ensuing action pros and cons. The issue of buying computer components on “Avito”, forums and other online flea markets will be dealt with in a separate detailed article. But not in this one. For several months, issues of “Computer of the month” go with the support of “Regarda”. And if so, then the cheaper configuration we will create in the same shop, moreover, as before, relied on his prices. It is obvious that in other trade points of the presented system will be more expensive and others cheaper. In the result, I got the seven assemblies — three on the basis of chips from AMD and four on the basis of processors Intel. The cost of all system units were in the region of 30 000 rubles. I think you understand that with a budget of 30 000 I still might consider much more of the assemblies — even given the fact that we complete system unit with such a limited budget. However, in this article I would like to see as much as possible, so to speak, the combat-ready configuration. If they will be any in modern games, what then to speak about other assemblies? However, let us think about each system in detail. For greater clarity, the main components of each configuration are given in the table below. In this article I specifically focus my attention only on the main components, as all the “side” components were selected according to the principle “just got into the budget.” This does terrible components — for example, power supplies less than 1 500 roubles, I recommend not. Then your fingers do not move to write a text about such assemblies. If the case, PSU and CPU cooling system, I think everything is clear, then the drive and RAM propose to focus. I’ll start with the storage device: for all seven assemblies offers TOSHIBA hard drive capacity of 500 GB. Model DT01ACA050 not the most cheap one, the same “Regarde” there are “screws” that cost less, but they have the spindle rotates with a lower frequency. In the Assembly Ryzen 5 2400G processors and Celeron G4920 we can buy HDD 1 TB — budget enough, and this version, of course, looks more preferable. In any case, the choice of hard disk space is not the principal question in this case: what drive the money is — that and take. The most curious that in all assemblies, the SSD looks more economical than small volume. So, some Western Digital Green WDS120G2G0A 120GB is quite possible to take 2 000. That of course, the system with such a device will work much faster. The problem is only that you cannot install on this drive at the same time and Windows 10, and for example, Battlefield 1, files which is more than 90 GB. So my choice fell on the HDD. If you play, say, only the “counter” and “dot”, you can instead of the hard disk to take the SSD — even for ASUS M5A7BL-M LX3, which there are only SATA ports 3 GB/s. As for RAM, each system considered in the paper, the choice of standard DDR individual, but there are also the common ground of the PC on which we will run at least some games should feature at least 8 GB of memory and a Gigabyte no less! As I said, the budget at the time of writing, managed to pick up three assemblies on the basis of chips from AMD, two systems, which is nice, based on modern platform AM4. Nice, because eventually you will be able to replace the same Athlon X4 950 a faster processor — for example, on a 6-core model. Please note only that in the Assembly with the “Athlone” used cheap Board on chipset A320. To put this cost Ryzen 7 I personally would not risk. But some Ryzen 5 2600, I think the games will work stably. Together with the Athlon X4 950 used memory standard DDR4-2400. Typically, the starting Assembly in the “Computer of the month” I recommend the Samsung modules, as they are easy to disperse to the effective frequency 2933-3200 MHz. For chips Ryzen high frequency kits are needed, but for the Athlon X4 950 — no. Probably the most interesting AMD version looks build with the old FX—, four-, six – and osmeteria processors are still sold. On the one hand, we have the opportunity to take a 8-core, but then had to skimp on the graphics card. I decided to rely on “stiglava” model FX-6300, and to it add graphics GeForce GTX 1050 Ti. Unlike DDR4 memory, the “brains” of the standard DDR3 are significantly less. In place of a potential buyer, if such will be among the readers of this article, I would have immediately picked up two DDR3-1600 total capacity of 16 GB. In any case, all current systems recommend not to delay the upgrade of RAM. Eight gigabytes in 2018 — is not serious. Budget for a good fee which will be suitable for acceleration, we have. So you have to take the cheapest device — ASUS M5A7BL-M LX3. The disadvantages of this system are obvious: we spend 30 000 roubles for the Assembly, which makes no sense to upgrade. Modern platform AM3+ in 2018 can not be called. Let me remind you that the FX series processors, as modern chips Ryzen, entirely equipped with an unlocked multiplier. 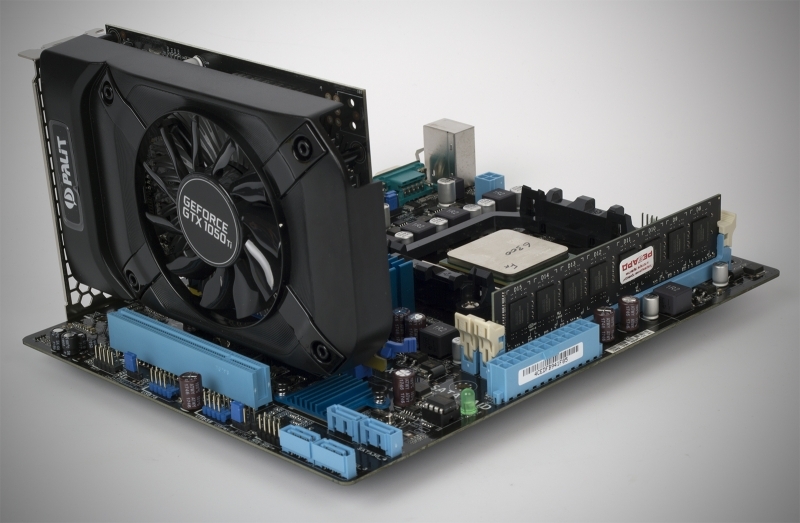 However, for a good overclocking FX-6300 will require and higher quality Board, and more efficient cooling system. Alas, ASUS M5A7BL-M LX3 overclocking is not particularly study, although RAM AMD R538G1601U2SL-UO I was forced to work for more effective frequency, but with lower timings. 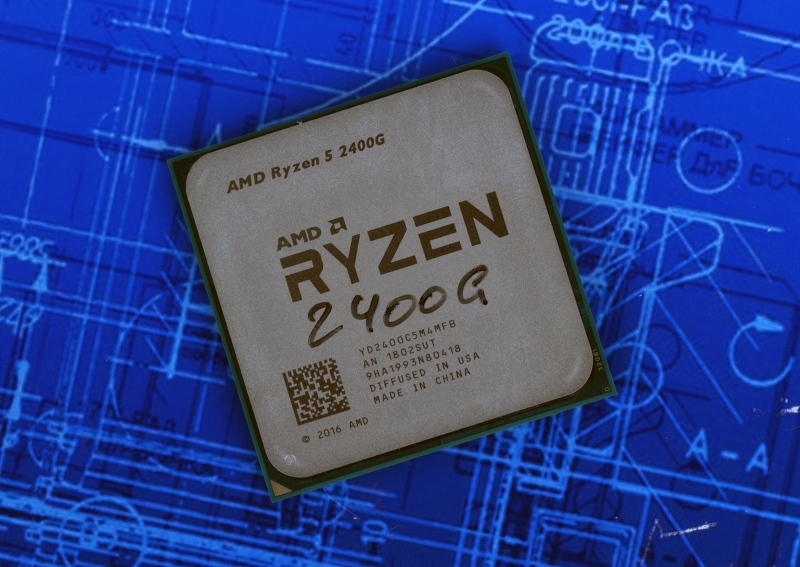 Very often in the “Computer of the month” in the opening Assembly in the review suggest to use Ryzen processors with integrated graphics. 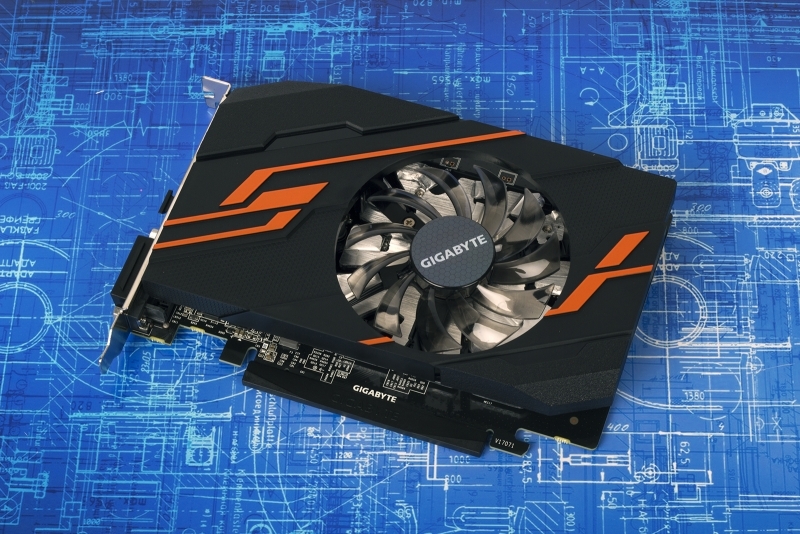 In this case there is no need to buy a discrete graphics card, so we save decently. The option of Ryzen 3 2200G uninteresting, as integrated core Vega 8, as shown by tests, does not manifest itself very well in modern games. Vega of schedule 11, part 8-flow Ryzen 5 2400G, in the presence of high-frequency memory kit competes with the discrete adapter GeForce GT 1030 — it is already possible, albeit a stretch, to talk about modern games on this system. Build with this chip, I propose to consider in today’s article. The option of Ryzen 5 2400G is good still that with time you can buy a discrete graphics card, for example, the level of Radeon RX 580 — and this tandem quite well manifest himself in modern games in Full HD resolution. If we rely on the built-in graphics processor, then we need high frequency RAM. For low-cost Assembly Ryzen 5 2400G need to take the modules for Samsung — it is desirable that they worked at the same time in dual channel mode. Kit marked Mxxxxxxxxxxxx-CRC, as I mentioned earlier, is guaranteed to accelerate to the frequency 2933-3200 MHz. Specifically, my memory is absolutely stably at the effective frequency of 3200 MHz with latency 17-18-18-39. Configurations based on Intel processors, the situation is much more complicated. Of the four systems two assemblies are based on modern the LGA1151 platform-v2 — this is important because later we can upgrade this PC, after all, once the shortage of processors, Coffee Lake over. By the way, about the deficit. It made of cheap Intel builds… a joke. Even frankly weak Celeron-series chips are sold at insane prices. What can we say about the “hyperpnea”? So, in a modern budget system with a Pentium Gold g5400 is impossible to set a maximum GeForce GT 1030. I wonder what motherboard chipset H310 Express and did not cost at least as much as a comparable solution H110-chipset. 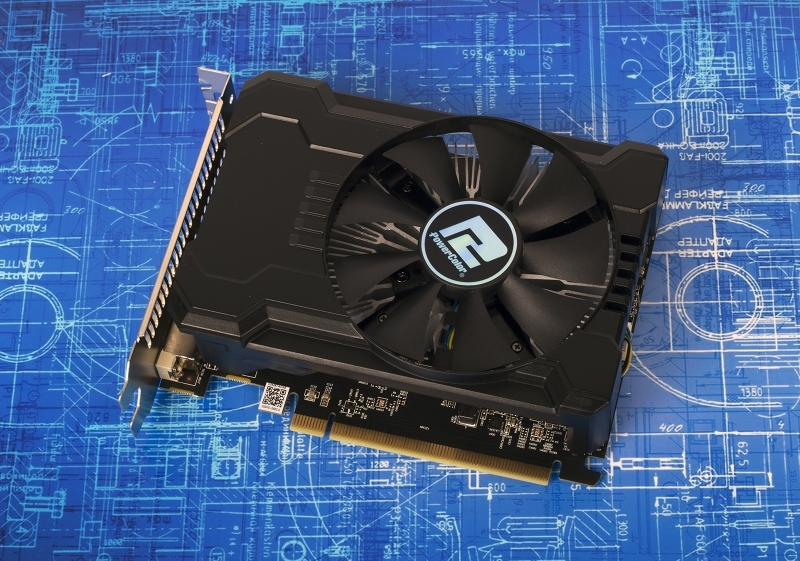 So, for example, an Assembly with a Pentium G4560 looks better with the same budget instead of the GeForce GT 1030 is impossible to set a faster Radeon RX 550. That is why today we are going to consider an Assembly including and Celeron chips. We chose the cheapest models in their categories — the price allows you to install the system, for example, the Radeon RX 560 4 GB. There is a sense — now, and check.